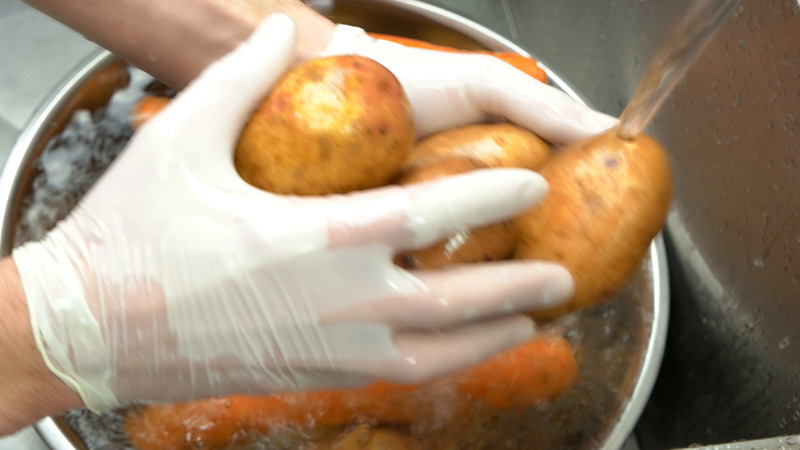 Hands Washing Potatoes And Carrots. Description: Hands washing potatoes and carrots. Fresh vegetables in clean water.